The fascinating thing about stock photography is that in order to make professional quality images, worthy of being sold as stock, you don’t always need professional grade stock photography equipment. This is of course with the understanding that the images are clean and the composition complies with the basic guidelines of stock photography. Is there any specific stock photography equipment that you need? The most misunderstood aspect of stock photography is that people assume this is a gear-heavy endeavor. It can be, in certain ways, especially when you need images of very high resolution, typically assignments where large billboards-ready images are to be delivered or double page high-resolution magazine prints are required. Top quality gear is mandatory when you need to shoot certain genres of photography, such sports or underwater or wildlife. 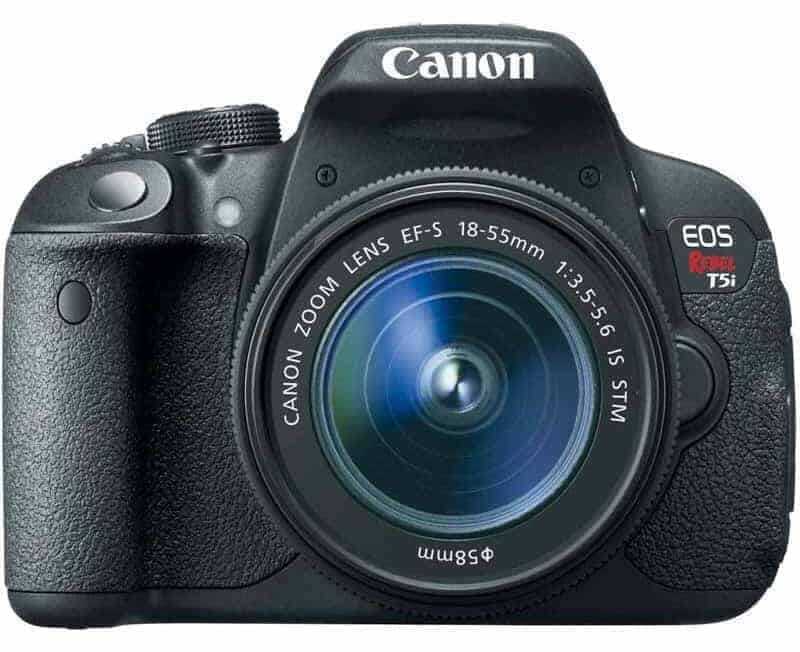 Stock Photography: The Rebel T5i good enough to get started! But in order to start off in basic stock photography, an entry level DSLR and a kit lens are all the stock photography equipment you will need. To shoot stock, the first and the foremost tool you need is the lens. It is more important than the camera. So, let’s talk about it for a while. There is an old saying from where I come from. Translated it means – ‘the more you pour sugar the sweeter it will be’. The lens is what focuses light onto the image medium. The quality of the glass, thus, cannot be over-emphasized. If you are serious about shooting stock, opt for the best piece of glass that your pockets can afford. Needless to say, more money means better optical quality (thus the sweetness). The camera can take a back seat for a while. So which lens should I buy? Well, there’s no one way to answer that. The shortest answer would be – it depends on what you want to photograph. The thing about stock photography is that contributions from all genres can be sold as stock. So, if you are a natural with wildlife photography you can make your passion your source of earning, provided you have the right set of stock photography equipment. For wildlife photography, you need at least a 400mm lens. 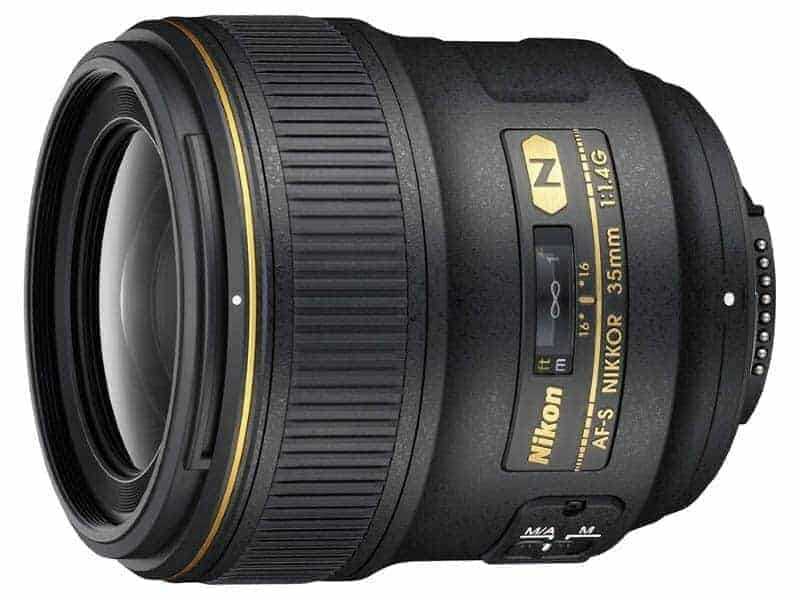 If portraits are your thing, then an 85mm f/1.8 should be your go to lens. If you love street and documentary style photography you could opt for a 35mm f/1.4G and with it a 50mm prime for the second camera body. If you don’t want to pour in too much and want a general purpose lens you can use for multiple situations, try something like the 24-70mm f/2.8. Both Nikon and Canon has a few of these. A number of other elements also come into the equation. We have talked about genres of photography. Then there is budget, weight, support system and of course style of shooting. If you wish to make stock photography your thing, you cannot disregard the importance of a good camera. A good camera is an investment for around 3-4 years. Some people still shoot with their old D90 and shoot great images. You need a minimum resolution though. Different microstock platforms lay out their rules for minimum resolution of an image to be accepted. Going by the current rules across different platforms, you need a camera with at least 16 megapixels to shoot stock. The size of the sensor is an attributing factor. Bigger the sensor size, larger are the size of the individual pixels and more light it gathers and that helps produce images with less noise. Noise is a definite reason for getting your submissions rejected. For certain genre, you need cameras with special features. A sports photographer needs a combination of fast continuous shooting with low noise. Cameras like the Nikon D4S or the Canon EOS 1DX are better suited for this style of photography. For landscape photos, you wouldn’t need speed but a higher resolution will certainly help. Thus, something the like the EOS 5DSR is a better bet in such situations. I have known professionals who would use gaffer tape to tape the pop-up flash on their camera just in case they somehow pop-up in the middle of a shoot. It goes to show the extent of a pro photographer’s despise is for the pop-up flash. One of the reasons why you won’t even find the pop-up flash on many professional camera models. What does that leave us with? Well, external lights. When it comes to external lights, you have a world of options in your hand. 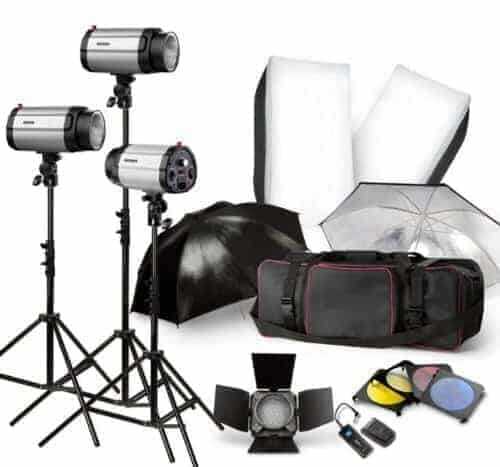 They are broadly divided into strobes and continuous lights. Studio strobe are probably the best solution. Continuous lights will help you to compose and pretty much get to see the shot as it will appear when you click the shutter release. But on the downside, continuous lights produce a lot of heat and can be disconcerting to work with in small places. Strobes, on the other hand, especially those with modelling lamps are much better options. 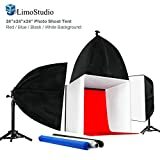 For product photography, especially when you need to work from a very small distance you need equipment such as light tents and ring flashes. A must have, not just as an essential stock photography equipment, but as a general tool for all types of photography pursuits. A tripod is a difference between tack sharp images and blurry disappointments. A tripod allows you to use whatever shutter speed you choose without having to worry about image blur. For older cameras working with kit lenses, this is a big advantage because these systems don’t perform well in low light situations and in high ISOs. Additionally, a tripod allows you to be creative with your shutter speed, shoot light trails, waterfalls and cloud trails in landscape photography genre. One thing that as a budding stock photographer that you should never do, and if you do, take out of your system is to trust the back LCD. It lies, period. It will always show an image brighter and sharper than it actually is. Until and unless you have seen an image in full resolution on a large calibrated monitor it really makes no difference. The last bit in this discussion of stock photography equipment is the software. Though not equipment, technically, you need software to fine-tune your images. Now there are two software that currently leads the pack when it comes to post-processing your images. They belong to the Adobe Suite of creative tools. Lightroom and Photoshop. I don’t have any preferences here. I need both. For light correction work, I use Lightroom, for more in-depth retouching I cannot work without Photoshop. We recommend you get the Creative Cloud for Photographers package. There are some other retouching software including Apple’s Aperture (which Apple is discontinuing, so we recommend not to start using Aperture now) and Nikon’s Capture NX2. Related Post: The best Post Processing Software money can buy! Rajib is an avid travel photographer and an overall shutterbug. He loves to test and review new photography gear. He has been writing about cameras and lenses for over 10 years now. You can consider him as your "master guide" here at PhotoWorkout.